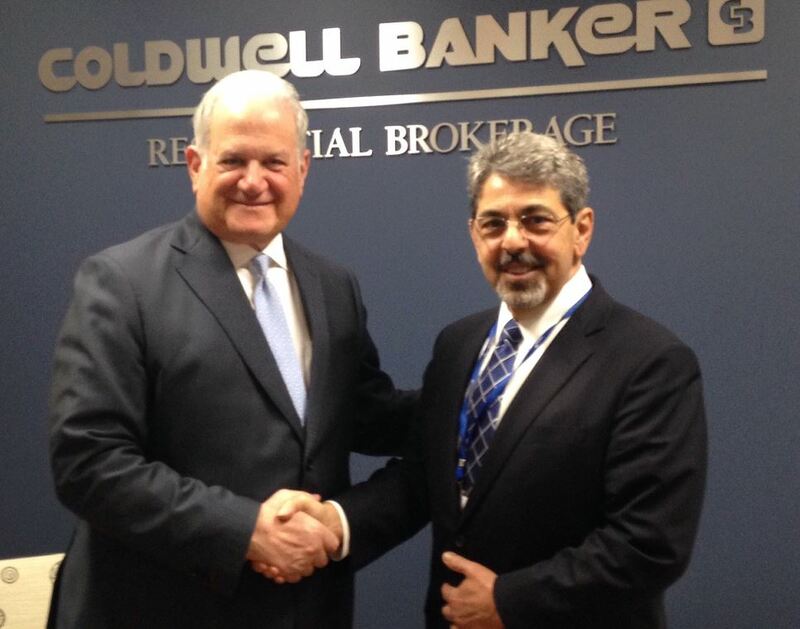 From left, Joseph A. Valvano, president of Coldwell Banker Residential Brokerage in Connecticut and Westchester County and Joe Monaco, regional vice president of Coldwell Banker Residential Brokerage Westchester County. DANBURY, CT—Coldwell Banker Residential Brokerage in Connecticut and Westchester County, along with other residential brokerage firms owned by NRT, LLC, ranked as the No. 1 residential real estate company in 2016 for sales volume and transaction sides in the New York City metropolitan area, which includes Westchester County. The rankings were reported in the 2017 REAL Trends Market Leaders report, a portion of the REAL Trends 500. Coldwell Banker Residential Brokerage, along with several NRT owned firms, together accounted for more than $30.4 billion in closed sales volume and closed 31,272 transaction sides in 2016, placing the firms at number one in the region. The ranking also includes transactions and sales volume for Sotheby’s International Realty and The Corcoran Group, which are owned by NRT. “Our success is the direct result of the talented and passionate affiliated sales associates, staff and leadership that make up this brokerage,” said Joseph A. Valvano, president of Coldwell Banker Residential Brokerage in Connecticut and Westchester County. “I am honored to work with these individuals who truly demonstrate their commitment to unparalleled customer service each and every day,” said Joe Monaco, regional vice president of Coldwell Banker Residential Brokerage Westchester County. The REAL Trends 500 is an annual research report that identifies the country’s leading residential firms as ranked by closed transaction sides and separately by closed sales volume. The Market Leaders section of the report compares how residential real estate firms performed by metropolitan area. NRT LLC, the parent company of Coldwell Banker Residential Brokerage, was ranked by REAL Trends 500 as the No. 1 residential real estate brokerage firm in the United States based on sales volume and transaction sides for the 20th consecutive year.